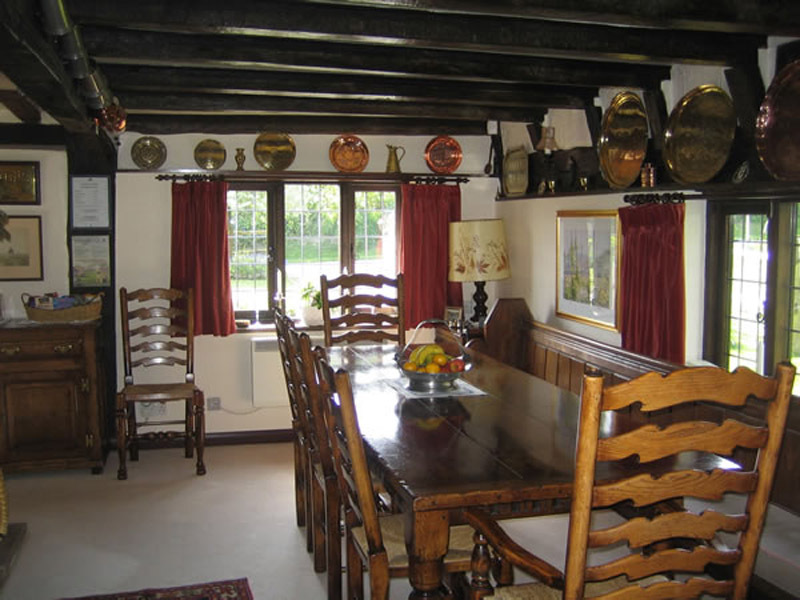 Situated about a mile from the village of Brenchley, near Tunbridge Wells, with its picturesque old timbered houses and All Saints Church built in 1233 with its 400 year old yew trees. 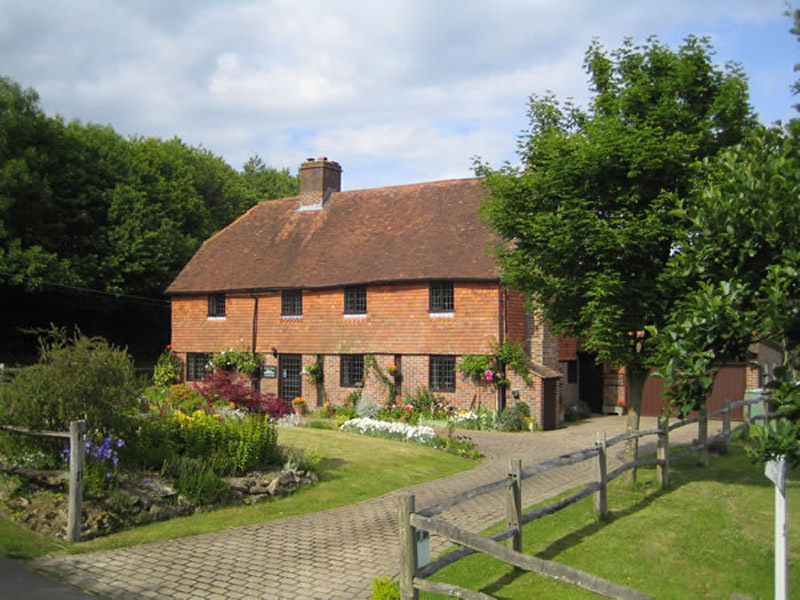 The cottage is at the end of a quiet lane, surrounded by apple orchards and has outstanding views looking towards the Furnace Pond, Horsmonden and Goudhurst. The Furnace Pond was constructed in the reign of James I and an iron foundry was established from about 1614 when John Browne was granted the monopoly of making brass and iron cannon for the Army and Navy utilising local iron ore and charcoal to fire the furnaces. During the English Civil War he made guns for both sides in the conflict. The water held by the man made dam was used to drive the trip hammers and by 1619, 200 men were employed at the foundry, somewhat hard to imagine now with the Ponds’ tranquil atmosphere where wildlife abound and fish rise in the evening. 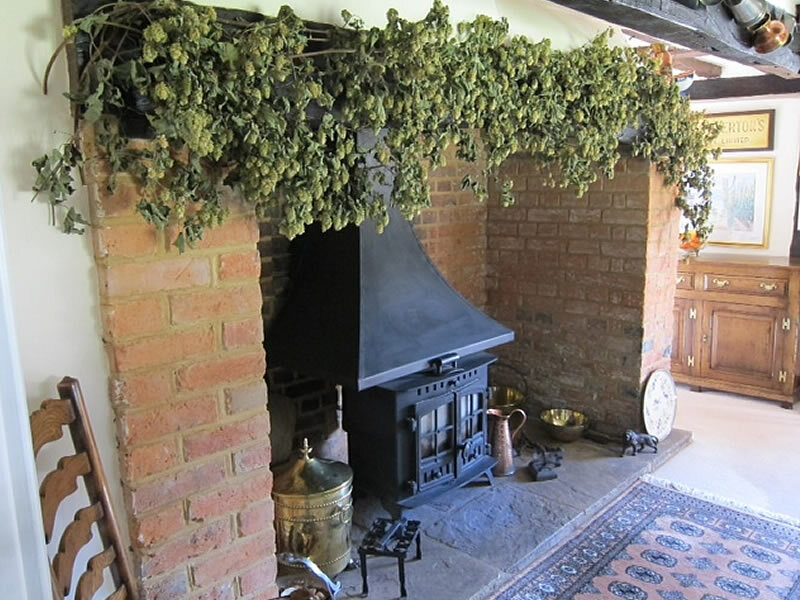 Hops are believed to have been grown in Kent since 1520 but today you are hard pressed to find a working hop garden but the number of oasts (white cowls) scattered throughout the countryside indicates the huge acreage once under cultivation. 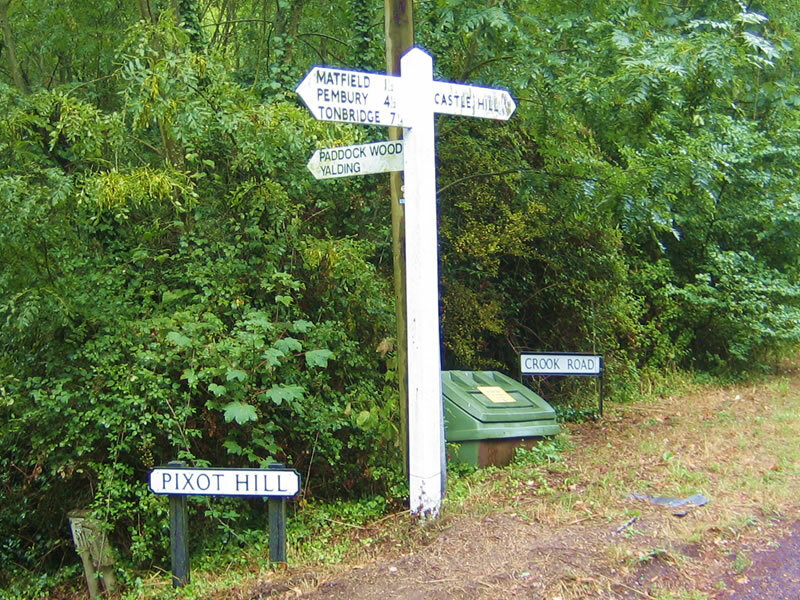 Horsmonden is claimed to be the first place that the famous Fuggles hop was grown. 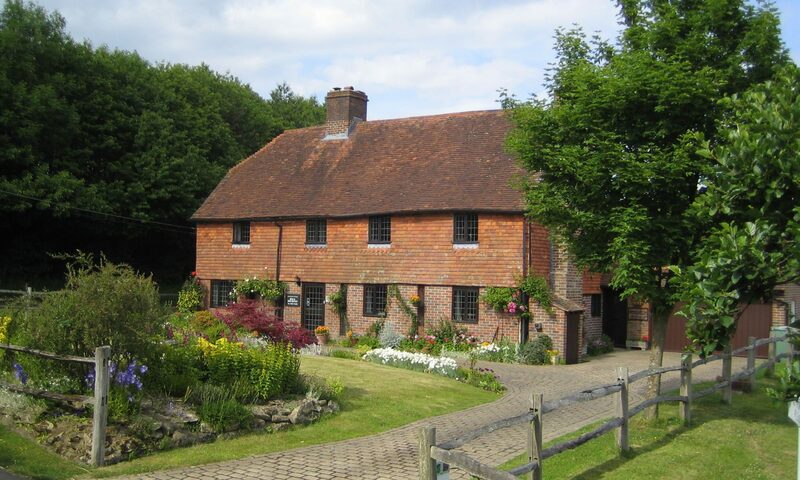 Richard Fuggle of Fowle Hall in Brenchley developed the strain in 1875. 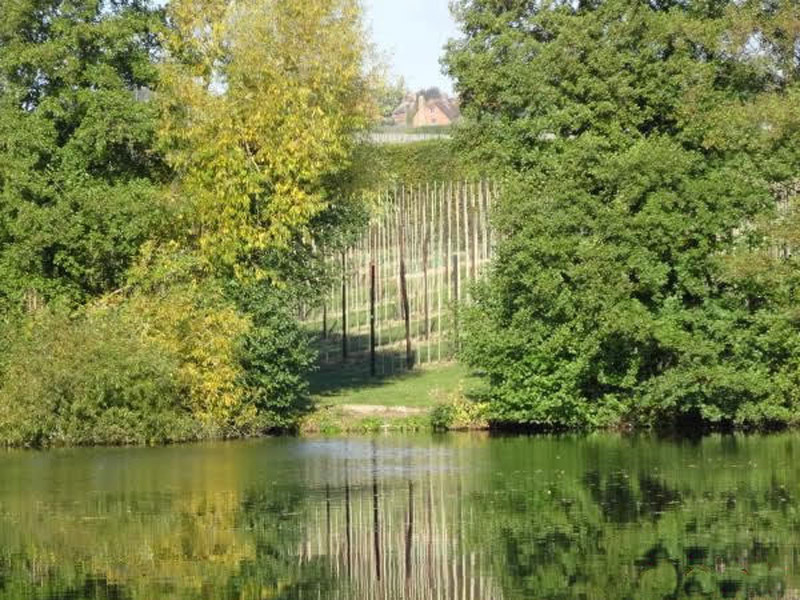 Today the same fields are growing apples and pears, cherries and soft fruit as well as grapes for production of English Wine. 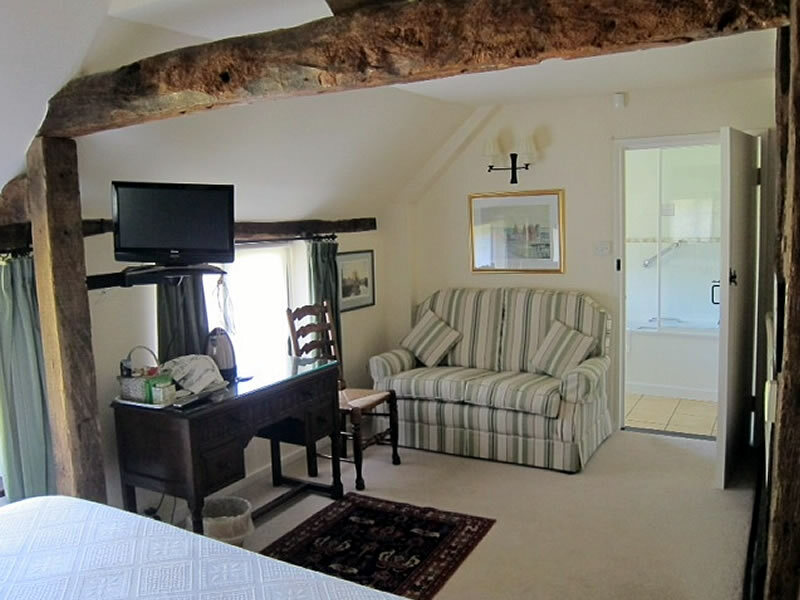 The two rooms have been sympathetically modernised in keeping with the cottage. Willowpit Garden Room is on the ground floor with its own external entrance, ideal for the less mobile and has either twin 6′ 6″ or a king sized double bed and an en suite bathroom with shower over. 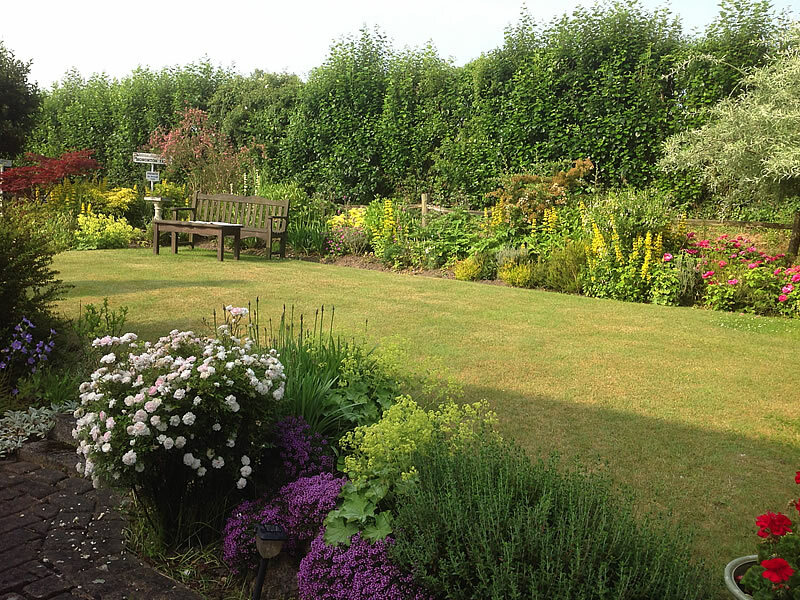 You can relax on the sofa or in the garden with views of the wood, fishpond and orchards. 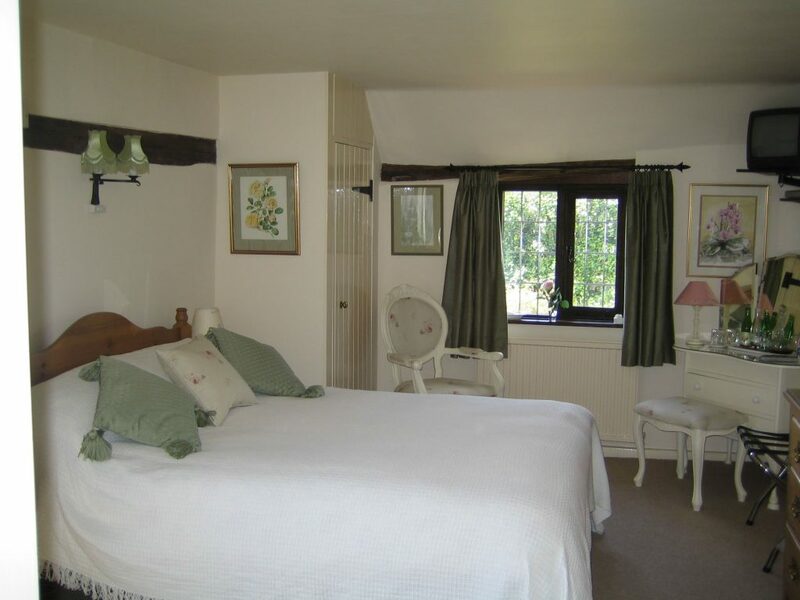 Furnace Pond is on the first floor with a comfortable super king size bed and its own large en suite shower room and two armchairs. As the name implies the view is of the Furnace Pond, Horsmonden and Goudhurst Church on the horizon. 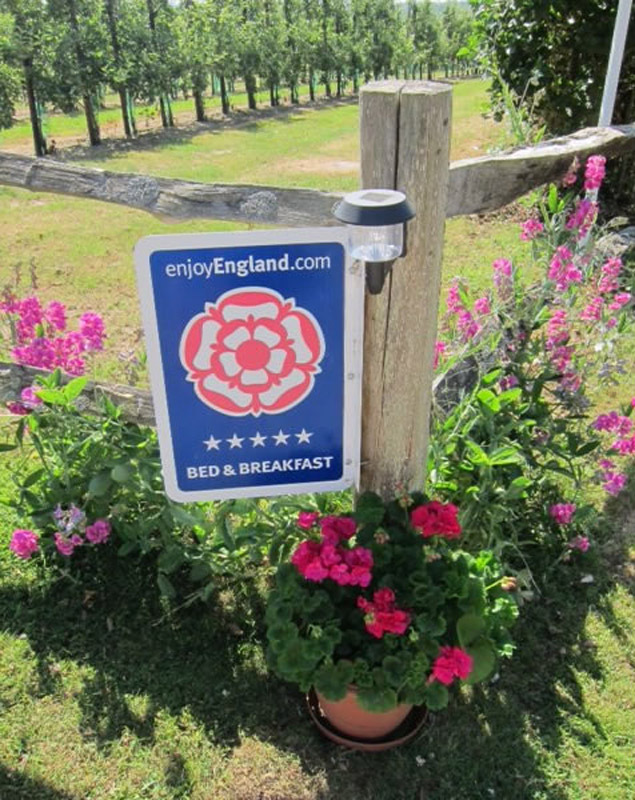 In the Spring the hillsides are a sea of soft pink apple blossom and the bees provide the honey served at breakfast. 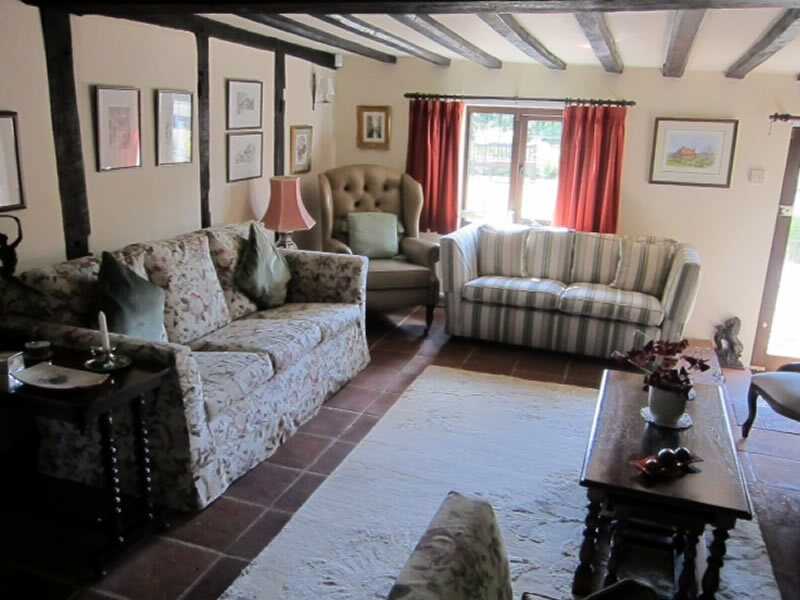 Both rooms have hospitality trays that include a wide selection of teas, coffee, local water and apple juice. 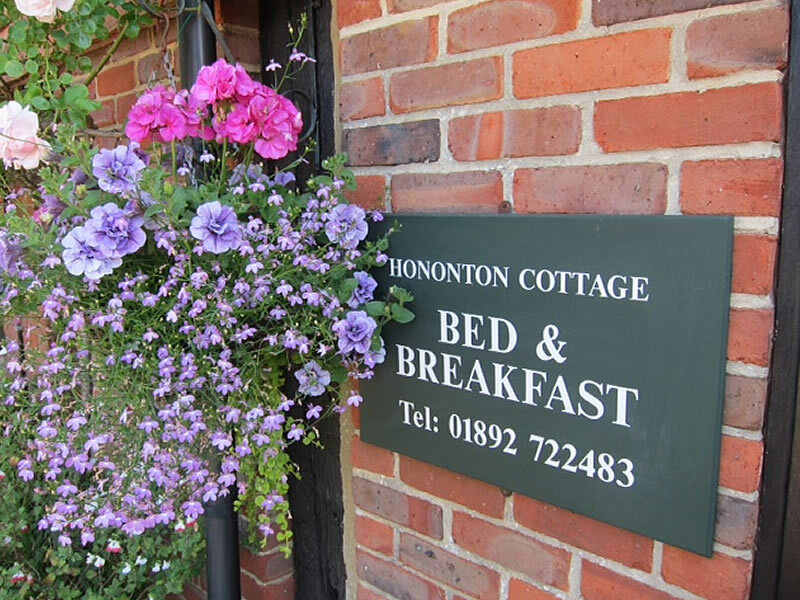 Luxury towel bathrobes and good selection of toiletries are provided as well as colour TV with Freeview, radio/CD player, hair dryer and ironing board. Wifi and Internet access are available. Breakfast is served in the heavily beamed dining room at the oak refectory table. Seating includes a church pew from Horsmonden Church. Traditional cooked, continental and healthy fare is served and fresh Kent produce is sourced from local suppliers, growers and farmers markets wherever possible and all preserves are home made. In the cooler months the log fires will be ablaze in the dining room and lounge and in the Spring and Summer there is seating in the beautiful garden. We now offer an online booking system for safe and secure payments and booking with FreetoBook.com. Simply check your dates below (minimum 2 nights).